Rolf Suey - Better Late Than Never: Black Monday - Benign or Malignant? What Should I do? Black Monday on 24 Aug 2015 marks the great fall of China with Shanghai main share index sliding 8.49% in a single day. The last Black Monday was in 19 Oct 1987, where subsequently stocks around the world crashed. 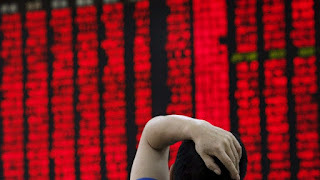 So is this Black Monday a warning for greater fall to come? I do not know. However, I did notice coincidence that several stock market crashes occurred in cycle of 7 years. Year 1973, 1980, 1987, 2000/1, 2007/8, 2015? Jonathan Cahn, a pastor and also author of New York bestselling novel “The Harbinger”, call this phenomenon, Shemiteh. Read this link. “Everything is converging around this time (which is based on 7 year cycles). I believe we need to be ready, and that’s why I believe I had to write the ‘Mystery of the Shemitah.’ I believe a great shaking is coming. ….in general, I would not be putting my stock in the stock market or have things attached to it." "You should also have essentials in store so if there is a collapse of not only markets, but of infrastructure and services, and these things should break down, that you would be okay for this time period." Cahn mentioned the date of the crash will be on 13 Sep 2015! I believe??? Not so important because I seriously cannot tell. I am not stock guru. One thing I know is we need to be prepared! While I am not a Christian, I concur with phrase in the Bible that says "a prudent man prepares!" Very often, stock market crash will lead to economic crisis, which lead to unemployment. While some investors will celebrate this day, so that they can deploy their warchest, some may naively forgotten about the greater drastic impact in losing jobs. It is going to be traumatic. You never know! Maybe you are the one who will be laid off, while you happily unload your warchest prior. And if it crisis last years, you warchest will be “flat-chested” soon. See by then, if you still celebrate or not? Yes, you can then truly have your 15HWW or early 35 years old retirement, because you cannot even find a job. Maybe your daddy or mummy will help in worst case scenario? Lucky you. Or perhaps you can just sell your house and stay with daddy mummy? Or maybe your daddy mommy sells their HDB/condo for you! In any of the above events, please still remember what is the worst case scenario! I have no daddy mummy to help me tide through crisis; neither do my parents left behind any house for me. I always have to earn every single cent myself since as a teenager. Therefore it is only sensible for me to hold more cash and prepares for the rainy day. I am 60 cash 40% stocks now. It is highly likely that I will increase my cash position to 70%. I feel safer this way, nothing to do with predicting the bear or bull going forward. If you know that you will have a safety net even if you fail in your investments, then by all means and go for it. End of the day, it is to have enough to weather the crisis. I believe most people will have lesser mouths to feed than me. I have 7 mouths in my house to feed. Me, wife, three kids, mother in law and helper. How about sharing my mum expenses as well? Or maybe economic problems often also coupled with medical problems. Unfortunate things always come in a bundle. We tend to forget during the good time? Talk about big portfolio and annual stock return >S$100k. I did a calculation earlier. If I am single, it is definitely not a difficult target for me now (age 37) to already have >S$100k return p.a. even with low single digit % dividends growth each year. Quite proudly thanks to my human capital growth over the years. In fact investment in your own human capital is at the very top of the list of investment as well. Perhaps when you are idolising those who are have big investment return, and wanted to be "Bet All In" and reap maximum return, think carefully again. Are you only seeing one side of the story, or did you realise that their family burden is different from you? In the main, keeping cash for me is related to "bread and butter" during prolonged economic crisis! Reason is simple. I am not alone. I need to be responsible to my family, elderly, children, and even my maid. Buying the dip during crash is good, but we should not be over elated because eventually people will lose their jobs. Yes, I am over-conservative. You may say Singapore sure no problem one lar? See if we are complacent now until 20-30 years later, what will happen? Still so sure? Nobody owes Singapore a living! Happy that you are a responsible family man. Applause. 1 feed 7. Power. You mean Singapore owes nobody a living? No Lar... My wife is working also! 1 feed 7 I will die young. Nope... I mean nobody owes Singapore a living. Without country, without family, without me! We must strive to protect country interest first not personal interest. Once country interest is protected, people will automatically be protected. Many people in work also do not quite understand this rationale. Company first, not employee! Great post on the topic. I think it's right not to celebrate economy crashes in general as that would indirectly mean celebrating people losing their jobs or committing suicide which isn't right. People should also not wish for that to happen and they should look after their well being based on their own circumstances, not comparing it to others. Having said that, it is a part of market cycle that we are going through peak and trough of economic cycle. We don't wish for it to happen but neither can we prevent it. Everyone just needs to be more vigilant when the ugly events are coming, and protect the interest of their own family members. Yes.. frankly I do not wish an economic crisis. But when it happens, there's no need to also celebrate just because u can buy cheaply stocks and ignore the fact that u may get out of job also. I think better to be a little bit Kiasi kiasu in times of uncertainty, especially for family man. Yes, the last crisis recovered fast, hope the next one will never come, if I can have a wish. By no means, I am complaining about family burden, since everyone have their own burden regardless of single, attach, young, old, male or female. The message is more like : "know your own worst case scenario and plan for it!" And your portfolio of investments are not just stocks, property, it includes people around you as well. Quite an uncharacteristic outburst by you!? Are you letting the Elections emotions get the better of you? Or perhaps its the "consolidation" in the O&G industry? Why can't anyone share their >100K returns per year? What's with this "thrashing" and "labelling" of singles, those with smaller families, and people who happen to have well to do parents? If your parents, wife, and children were to read this post,what would they think? They holding you back? I can empathise what you are going through. Having survived 2 rounds of downsizing in a previous US company and the relocation of our Singapore's regional head office to Shanghai - no one owes us a living! And the situation with my mom. Sorry, but you are better than this. Breathe... Take a deep breath. This is the first time I address you this way rather than SMOL. Hope it is ok, since there we also known each other for a while now, and not the first time we crossed swords. I know you always meant well, although you are no “bleeding heart!”  I did learn a lot from you and many others here too. I am grateful. Guess I might have “pressed the wrong button” to trigger some heat! I read my post again, perhaps it is the way I put it. That is the problem when you “pressed published” too fast. While, my stance remains “prudent man prepares base on their own situation”, I still apologise if it creates a nano-outburst. I have updated the post in a milder manner! If you have 3 minutes (like Andy said), read again. Like I mentioned to Jimmy above, it was not meant to target anyone. My best friend for decades is single.. It is just a reminder not to foolishly follow what you read. Trust, but verify! Sounds familiar? Where did I read it from? ….. LOL. It is ok to share what you want on your own blog? End of the day, you can say that is your blog and you are talking to yourself! Essentially that is what I am doing here, even if I created an outburst. Yet, in my blog where readership are increasing, I reckon I should be more careful. That is what you correctly pointed out to me here, where I updated the wording in different manner and yet can convey the same strong message across. Now you know why my comments box does not need approval. I welcome all comments, but will exercise adequate discretion if needed. In this case, it is absolutely not necessary. Nothing to do with the election, consolidation in O&G etc….I was in the last crisis with another company when we retrenched in early 2009, despite we did so well in 2008. My Singapore team member was affected. Then in 2010, we shut down Indonesia factory with >200 workers laid off, which I was in charge of the sales team there as well. There was a mini-riot. In 2012, we shut down the Singapore production with another close to 100 let go. To be honest, during the crisis, I was promoted several times. Crisis = opportunity, I already personally experienced it! In my current position, I already got assurance from our company top management in Europe that our Singapore office will be safe to tide the crisis. Still, unexpected things happen you know, especially in corporate. Both me and my wife are already mentally prepared if calamity struck. Acceptance and apologies allows us to move further forward. Ok, as per your instruction I already breath “hard hard”, and take many deep breathes. I hope you can take 1 mouthful of deep breathe as well. I am definitely better than this! I POKE a lot of people, but so far, you are only the 3rd person I've KICKED besides the fisherman and that bleeding heart. There's another person I've been meaning to kick for years but couldn't find an opening - damn that insect is that good!!! I do satire and parody myself. I've made fun of people who like to follow the asses of others haven't I? So its not me the pot calling you the kettle black. You and I know you had someone particular in mind; even in the follow-up comment you were thinking of that person again! So when you gave me an opportunity so big that I can drive a truck through, how can I not have a bit of fun with you? Can call me whatever you want. Just don't call me "uncle"! I must share the honor with fisherman and bleeding heart, whom I still have no idea who they are till now! The insect, an old one? LOL. I enjoy crossing sword with u, though one day I prefer to do it with spoken words. It can test our reflex responses better. Then maybe my job nature will give me some adv. Hmm... sometimes it's so natural to give "the age" incline respect.. hmm or maybe sometimes it's easier to poke someone greener for its easier to convince "I eat salt more than u eat rice!" No denial.. I have this tendency myself, albeit keep reminding myself not to have this stereotypical behavior. For me, the definition of backstabbing is to stab to "benefit" oneself. If u stab.. frankly I will not use the word "stab" here.. it's more like "warn" to create a greater awareness to the benefit of the public, then it's entirely different. Guess I have no qualms of kicking someone in the face if necessary. Those who know me in real life will know this. I use to be extremely direct that it sometimes hurt feelings of those who care and love. So nowadays as I age, I exert better control. Not because I am no longer myself, but just that I consider more also on the consequences and people who will be affected. I asked "is it necessary?" Ultimately in this article, I think it is necessary to be direct, but only on my own blog. The "main dish" is to send WARNING out to greener investor readers (incl my children one day)! The side dish as u may interpret as kicking someone's face does not bother me as much. Luckily Andy is vouching this for me as he does not have the impression as u did. Even if I openly and daringly says that it is referring to the person u mention, I will not hide behind the curtain. Writing on my own blog is my way of telling "hey look to the other side!" Short sellers is good or bad? let the market decide! My stance: If u create trouble outside my house, I do not care! But if u create trouble in my home affecting my family, I will fight till the last breath with u. And I will.. Oops I am darn serious! I commend you for having 60% in cash right now. Cash is a very valid asset class. Especially in times when other asset classes are returning even less than zippo. Unfortunately I am not in that enviable situation. SMOL, I do not get the impression that Rolf is 'trashing' singles or people with smaller families. He is merely mentioning his boundary conditions. And taking ones personal circumstances into account is the first step to having a solid investment system and above all peace of mind. Fear is the worst buddy to call ones own when it comes to investing, because it leads you to irrational decisions. So if one can reduce his level of fear by reducing his/her exposure to the stock market, why not? As long as there is a plan behind it. 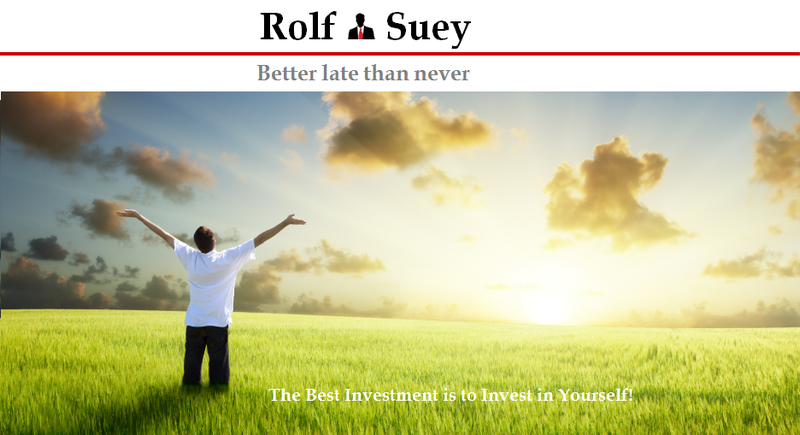 Rolf, I like your reminder "Nobody owes Singapore a living." Complacency is never good, but having a cohesive living environment is an excellent base to prosper individually. 60% of 10k for me, 30% of millions for u…  Good to feel envied, anyway. Anyway, thanks to speak up against Jared. Hmm….now u understands me better, and that is precisely what my message is. Anyway, I am still obliged to re-phrase my article. Never harmful to change and improve. Even if you, me and Jared are not bleeding heart, I strongly believe we are all “good hearted!” this is another form of cohesiveness in this society. In effect, I gather that complacency is always inversely proportional to age and experiences. At least for me, I use to be aggressive and more complacent when I was younger. Singapore is where we are today, not by chance. One key contributing factor is our ability to gel well, regardless of race, religion, and backgrounds of where you are born. Who told you that I have millions? I thought that was a state secret. Actually I am working on my 5th million. Alamak, that beloved experience. The trouble is that experience is something we don't get until just after we need it. Actually my "moh" is turning grey (that's what we call it back in Germany). Luckily over here people refer to it as "white" which sounds much wiser. I "see" your heart more than the color of your "moh!" haha. I will still invest the bulk of my warchest but perhaps reserve an amount equivalent to 6 months expenses as emergency money. However, I will not invest in one go but spread over over 1.5 years or so (in case shares going down even lower than now). Also, I treat my earlier 2008/2009 investments as another pool of emergency cash as I think the chance of current crash going lower than the 2008 one is relatively low. Otherwise, to miss a once-in-7-year event to buy low is quite a waste. You know exactly what you need. This is not only prudent but enlightenment. I am sure I will act like you with my cash, as long as I am still earning what I get today. Once-in-7 year event…..from the way u mentioned, you probably think the stock market will dive deeper in the coming months. I keep on averaging down my shares till I no money. Luckily I still have war chest from husband and emergency fund prepared by him. Not much. But enough for me and husband. And we both still working. Feel not so stressed. Well. I have mentally prepared to hold my shares for a long period of times. Anyway. Not so stressed as previously. More importantly is you still have a ever handsome and loving husband. You are so lucky, even if ur portfolio tanked! Well. My paper loss is very huge. I try not to look. See how. now I dun even know how much paper loss now. Yes. Learnt a lot from uncle. Think he too free, so can teach me. I believe everything happens for a reason. If one day in future, u look back, maybe this can just be one of the best things that happened. Frankly my portfolio is no smaller than yours, meaning the paper losses is also huge for my standard. But we are both still young and have ample of time ahead for us to become more experience. U can do it! Do it for not only u but ur family. Regain back what u loose and double it up with winnings maybe in 7 yrs time! I lost all my confidence. Just like uncle always says me. Pig and chicken go breakfast story. One day, I become pork rib or chicken ham. I blur blur also dunno. Very honest and true view from you. I like it very much! Too many readers are "seduced" by juicy headlines without knowing are they part of the majority or minority? This time I feel so happy that I have someone so wise and experienced saying "he like it very much!" I am going to show this message to my wife and children and they will be proud of me and think I am a responsible man! You should show the message to anyone you care. This message came from that old man who is known to be "uncivilized" and NOT political correct blogger. But, when we need more acceptance, support, and endorsement from our readers, then we have to be careful to present ourselves as civilized and political right; otherwise our readership may be affected. Wars are fought by young men; the spoils of war divided by old men. Hey....like-minded underlings, not just underlings! Hmm... a forced 15HWW? That sounds bad. I am also not hoping for a crash. A correction, maybe. But definitely not a crash. If u prepare for the worst, u are still ok when times are bad. If times are not so bad, u are also happy just like all others. So in both situations, u r ok. Guess that is the rationale. Like u, we are compassionate enough to hope the crash does not happen. But what if?